Today’s offering for your table is on Luna, the High Priestess of the World. She helped me write this on Monday, April 29th, 2002. To help get you in the mood, watch this magical video shared by Bernadette Brady on Facebook this week; there is no manipulation of the imagery. (For my Mother who taught me to be kind and gentle, and to accept things for what they are). What most of us know about the Moon we learned in school or from TV and books, from science, which essentially amounts to a grey corpse of matter, blasted with craters, and promising the dream of a sci-fi base at sometime in the future. This is an extraordinarily banal perspective on a cosmic body that has inspired humanity with magic and dreams for millennia. Earth’s Moon is a shrine to the mystery of the cosmos, She has stood since the dawn of our consciousness like a pearl in our nighttime, reflecting cycle after cycle, face after face, night after night after night, drawing our wonder upwards and beyond the sphere of the Earth into mystery, fantasy, and distant memory. She conjures up so many things for us it is hard for a man like me to know where to begin in an exploration of lunar (un) consciousness, other than to say that despite the picture we have been handed down of Her we have all felt it, that deep magic of Hers, just from looking at Her,; and we all know in our soul that She is more than just a lump of rock. She passively reminds us of something we have hidden inside us. Something magical and deeply mysterious. That is the Moons astra-mental body we are sensing – the Moon astrology is an indicator of inner states, reflections, self image and the subconscious. Students of Bardon would do well to study and meditate on the position of the Moon in their birth charts if they are seeking to understand the dynamics of their own subconscious and as the prime symbol for work with astral mirrors. The reasons for this will become clear upon reading this article. For the rest of us, knowledge of the Moon and its effects can put us in touch with our feelings in a new way; it can reflect our self image, our past, our memories of childhood, our attitude towards our parents, our psychic magnetism, our daily rhythms and our responsiveness. As the Sun focuses and radiates the Kethric (Universal) Light, it is collected and reflected by the astra-mental gravity of the Moon. Without the Moon nothing that happened would ever feel as if it affected us personally. The Moon, the primary feminine archetype of every persona and horoscope, is a cyclical and Magnetic sphere of infinite permutations, yet it is founded on simple periodical principles – of rhythm, magnetic tide, and adapting the sense of self instinctively and spontaneously in harmony with the seasons and the unfolding of daily events. As I write these words the Moon is shining Full in Scorpio, 2002. Two weeks ago, as I was preparing to write this article, I looked out at the Moon from beautiful Cazadero, California, as Venus twinkled in her crescent aura. The magic of the Moon is a subtle thing to write about, and there are a number of different astrological interpretations that come out of the Moon, so you will need to penetrate with your intuition to reach the heart of the matter. The Moon reflects the ancient principle of cycles and rhythms; as partner to the Sun the Moon reflects its Light at night in varying degrees, and through its gravitational and astral pulling and pushing creates the tides within both the oceans and the seas of human mood. The Moon in esoteric teachings is the seat of the soul, the keeper of secrets and the hidden influences of the karmic past, our most direct link to the primordial feminine energy of the Universe, and in both the Egyptian and Western mystery schools, the first extra-terrestrial initiation the aspirant faced was that of the Gate of the Moon, in which the foundations of both the soul and the Universal Laws which govern its growth were revealed. To understand the connection between the Moon, the foundations of the Soul and the Universal Laws which govern growth, fertility and formation is not an easy thing for the rational mind alone to grasp, but it must be done to touch the moonbeams I am weaving around you here. The Moon spins a tight circle around the Earth. Imagine that spin extended into space and it becomes a spiraling curl, wrapped around the spiraling curl of the orbit of the Eartharound the Sun. There are other spiraling curls around the Sun, the orbits of the other planets. It looks like a strand of DNA. The Moon, the Magnetic Fluid conductor for this world, collects and reflects all the influences of the solar system and gives them form, each cycle building upon and extending from the previous iteration, thus weaving an ever changing pattern, a foundation upon which we play out the cycle of events called ‘life’. 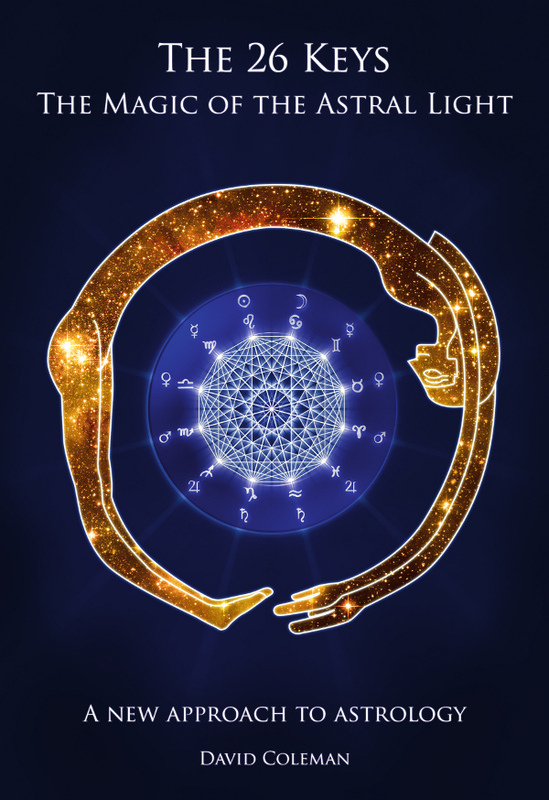 How we instinctively react, respond and adapt to the changing flow of life’s tapestry is where the Moon comes into consideration in astrology, for we are truly subtly programmed by Luna when we are born to behave and respond in a certain way. This is the foundation set by previous cycles (incarnations) and it is our Prima Materia, the raw stuff from which we will shape our individual personality. In human terms, it reveals itself through our habits, our preconditioned responses and behaviours learned in early childhood, which is to say, our instinctive, spontaneous attunement from past cycles. Thus, the heart of the Moon is the Rhythm of Life, it is within and without, above and below, we carry a beat of the Rhythm, a part of the music in our soul, but the beat goes on, and on, and on, and we learn to dance, and even to change and adapt our birth rhythm to all the new rhythms life plays out for us. But it is all one sound, flowing endlessly. One Music. So overflowing with mystery is She, so beautifully enigmatic in Her nature and so perfectly equilibrated with the Sun and the Earth, that She always presents the same face towards us, (Her rotation around the Earth – 27.25902 days – and Her cycle of phases around the Sun – 29.53059 days – are practically synchronous) , so the dark side of the Moon always faces away from us. Not only that, but by yet another ‘cosmic coincidence’, She is the same size as the Sun when viewed from Earth (the ratio between the size of Sun and Moon and the distance between them here being something like 400). In other words, She is perfectly placed to be a Magnetic conductor for the Sun and to be His cosmic counterpart. My friend Ray says he is always amazed at people who do not believe the Universe is essentially harmonious, balanced and polar when they are faced with these big luminous orbs every day and every night of their existence, shining on them from the heavens. Anyone who has witnessed a total solar eclipse knows exactly what I am talking about. They have been immersed in the full corpse-like glow of the Moon, what I call the cold light, and it’s an eerie, mysterious feeling, of standing in the shadow of cosmic mechanics. The Moon guards Her secrets well, and only those with sufficient intuition can perceive them at work. Yet work they do, like invisible strands of Grandmother Spiders Web, catching the morning and evening light in its dew and reflecting us and nature in a rainbow of mist. She is a shrine, our Moon, a sacred place for all Earth beings, and we have let Her grow dusty and dull in the back of our minds, so that Her magic is now almost invisible to us. How many hunches did you follow today? How many gut instincts? How many spontaneous feelings did you dive into, without hesitation? How much trust do we as a people place in pure instinct, in intuition? And how much value on women generally and all things gentle and kind? And how much more emphasis on self projection do we make, than on self reflection? Both are important, but without reflection, how do we know who the hell we want to project anyway? As evolving human beings, we need 2 primary symbols – one light, one dark, one black, one white, and in astrology Sun and Moon, Sol and Luna, are those symbols. We need a symbol for the person we are at our core, for our radiant essence, (the Sun), and one for our inner experience of life and ourselves, to describe what makes us feel right, how we react based on predisposition and instinct (the Moon). In society (and so often in our astrology) Father embodies the Sun, and Mother the Moon, but our perspective on gender roles is currently in transition and so these distinctions are becoming practically useless. They are still good archetypal guides for understanding the difference between Sun and Moon though. Incidentally, it is also for this reason that the Moon is traditionally more important in a female chart, and the Sun in a male chart, but again, these roles are disintegrating because we now finally begin to recognize (re-cognize, or remember, a lunar function) the male and female in both genders. Another metaphor I have made use of in understanding and working with solar and lunar forces is that the Sun shows our individual voltage or primary charge, the Moon our amperage or rate of flow, and the ascendant (a zodiacal point rising in the east at our time and place of birth) our conductivity or resistance. (That’s this months ‘Practical Astrology for Mechanics and Fix-it Freaks’ ! ). I can’t tell you what you will gain from becoming familiar with the position of the Moon in your birth chart – because you could literally be anyone! – Other than to say, it will show you what you have always felt like inside. It will show you what your stuff is. As lunar cycle is layered upon cycle, your cycle expands and grows in complexity, like droplets of water dripping on a midnight pond, they merge, and many people find that with the work of transformation the meaning of the Moon in their chart changes and grows, as if it were a seed planted in the world, and time has done its inevitable magic. The self image we were born with gets cleaned up, re-energized, and re-invented, as we mature and adapt to more cycles. The essence always remains true, however. Here are some guidelines for general understanding: like Sol, Luna has a dual content – a nurturing, cooling, healing, calming face, and a hidden, shadowed, mysterious and decomposed side. Her dark face is ever turned away from us, and looks out on the stars serenely. If we wish to see Her hidden aspect, we must journey there ourselves, that is, we must do the work of digging in our own personal subconscious… Her light and dark aspects also show themselves in the play of her cycle, as She unfolds like a white flower and then closes again before our eyes every month. When the Moon is in Fire signs, our lunar essence is very excitable, generous, spontaneous, enthusiastic, warm, confident, and we react very quickly. Our feelings are often burning, raging, scorching, or self centred when they are unbalanced. Impatience with the passing of cycles is often present as the Fire Element must be continuously consuming and moving with the Rhythm of Life to stay feeling alive and vital. The First Quarter Moon is said to have a hot and dry nature and is therefore connected with the Fire Element. Things within the body break down primarily through heat functions (the Fire types run the highest fevers, but when they recover, it’s a fast burn up). When the Moon is in Air signs, we think first and act later. Inwardly we are detached and when things are presented to us we examine, analyze, solve, deduce and try to gain objectivity on it before we act. Our inner state is often in a state of flux, never truly solid, always in transitions or simply surrounding a problem from all sides, seeing all viewpoints but unable to decide what to do. The warm and moist quality of the New Moon connects it in astrology with Air. In its negative state, these Moons are also like Spock, or 7 of 9 from Star Trek – pointy headed intellectuals, liberal fence sitters and procrastinators. The Earth sign Moons are inwardly very solid in their learned behaviours, habits and instinctive feelings, and tend towards caution, pragmatism, practicality, methodical habits, predictable or reliable functions, and just getting on with it when the chips are down. The Full Moon also carries an Earth quality because it is considered cold and dry in astrology. In its negative state it is so fixed in its past patterns that it cannot adapt to strange new ones, it is possessive, stubborn, undermining, plodding and slow to react. The Water signs are generally more receptive to the Moon, since they also have to do with our emotional or astral body. They are inwardly reacting to everything with their feelings, and are thus compassionate, empathic, sensitive, psychic, nurturing, protective, and emotionally intuitive. In the negative state, they are pessimistic, gloomy, bitter, resentful, grief-struck, victimized, and self deprecating. 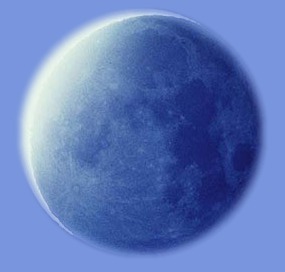 The 4th Quarter Moon, which in astrology is cold and moist, is connected with Water. Moon magic has many practical applications too. Many studies have been done to show how the Moon triggers daily events, sometimes most dramatically. An experiment done in a shopping mall with security cameras revealed that (repeatedly) the minute the Moon moved into a Fire sign, shopping intensified, more people arrived and sales went up. Rats are more active when the Moon is below the horizon than when above. The Moon has a subtle but extremely potent influence over our moods, impulses, our sense of humour and even our degree of sanity. It is well known that the Full Moon has an effect on people with mental disturbances, hence the word ‘lunacy’. What is less well known (especially by doctors!) is that the Full Moon also increases the flow of ALL fluids, including blood, and operations should not be performed on these days especially if an incision is made in the area ruled by the sign the Moon is in. Many lives could be saved if this simple advice were followed which are presently attributed to complications during surgery. A study was done over 8 years which showed haemorrhaging drops to a monthly low and high at the New and Full Moons respectively (this study was done by Drs. Carl S. McLemore and Edson Andrews and published in ‘The Journal of the Florida Medical Association’). I could go on, and on. The practical everyday uses of a magical understanding of the Moon are literally as endless as the ocean. What we each have within us, inside us, is our own cup of that magic, which can reflect the entire ocean of infinite wisdom it was brought forth from in the beginning. We may have to leave the fluid, lunar comfort of our Mothers womb to walk the world, but She remains a part of us forever, as the Moon reminds us, again and again, night after night after night. We have forgotten Her, and lost the magic She is, but She is holding it in safe keeping for the time when we will open to it again. Until then she keeps the rhythms alive, and enchants us with the Mystery of it all, spinning out the Music of the Spheres. Enjoy the dance. Nothing ever repeats. She’s a tireless cosmic dj. Wonderful article, the moon has a strong influence over me so this is a great read. Thank you, glad you enjoyed 🙂 stay tuned for more on her from time to time and if you are interested in developing that relationship much further take a look at my book sometime where you will find a unique way of interacting with Luna on a direct personal level.